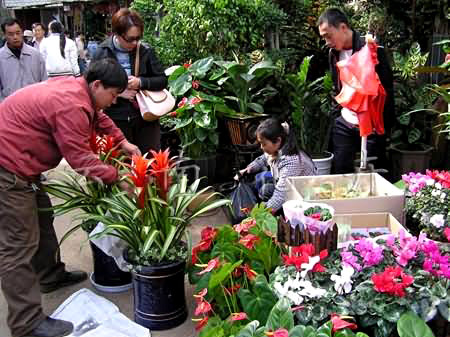 Kunming, the capital of Yunnan province, is a common destination for both domestic and foreign tourists due to its pleasant weather, intriguing highland scenes, and long history. Since it stands at an altitude of 1,895 meters (6217 ft.) with an average temperature of 15.1 Celsius, it is little surprise it has been titled "the City of Eternal Spring". 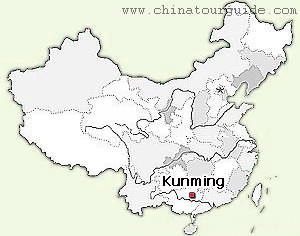 Kunming covers a very large area, 15,561 square kilometers (6000 square miles) with a population of 3.7 million and is so important largely because of its role as a the Western gateway of the celebrated Silk Road, facilitating trade with Tibet, Sichuan, Myanmar and India. Today the city is the political, economical, and cultural center of Southwest China and the provincial center for transport, science, and technology. 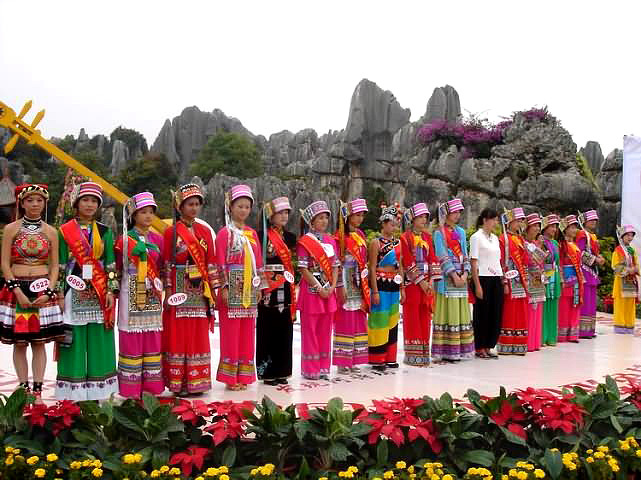 Although Kunming is not the final destination for many travelers arriving in Yunnan, it has a lot to offer. To get a feeling for the rich cultural and historical heritage there, the Golden Temple Park and the Bamboo Temple are essential stops on any visitor's itinerary. 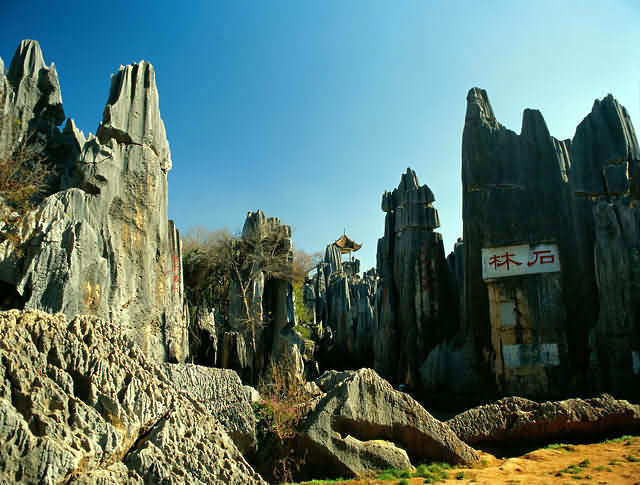 The city also boasts numerous natural attractions such as the awe-inspiring Stone Forest, Dianchi Lake, Cuihu Lake, Western Mountain, Jiuxiang Scenic Zone, and the Grand View Park. The city is also an ethnic hotpot, with a cultural blend of 26 distinct minority groups, each with its own special festivals and traditions. 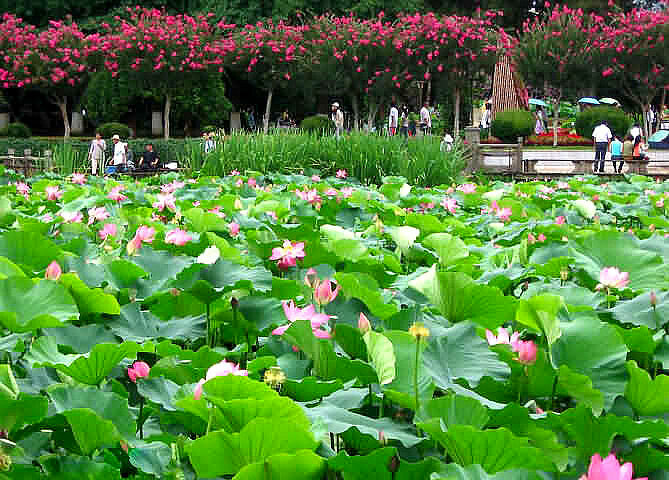 The history of Kunming dates back more than 2,000 years. Historians believe it was once the capital of the State of Chu between 339 BC and 8 AD. 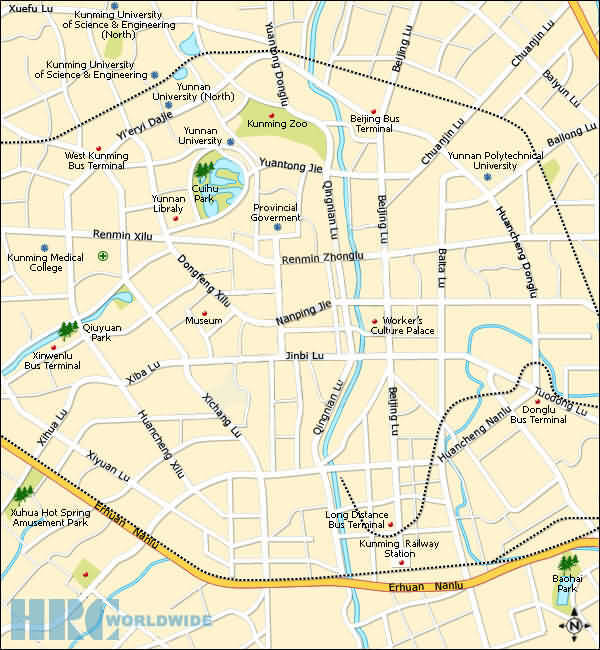 However, little was recorded of the area until the 13th century. It got its current name in 1276 from the Mongols of the Yuan Dynasty. The city has experienced many changes since the Ming Dynasty took over in the 14th century. They renamed the city Yunnanfu and built a protective city wall. Nevertheless, the wall did not protect it from invasion forever. In the 19th century, the city suffered attack after attack at the hands of Du Wenxiu, often referred to as 'The Sultan of Dali', during the Panthay Rebellion. Also in the 19th century, Kunming began to be influenced by the West, with intrusions from British colonial Burma and French Indochina. This opened the city to foreign trade. During the Sino-Japanese war, the city became a refugee center for many eastern Chinese who had fled from the Japanese spreading rampage. To help keep the Japanese out, Anglo-American forces sent supplies to nationalists based in Yunnan and Sichuan through the famous Burma Pass. 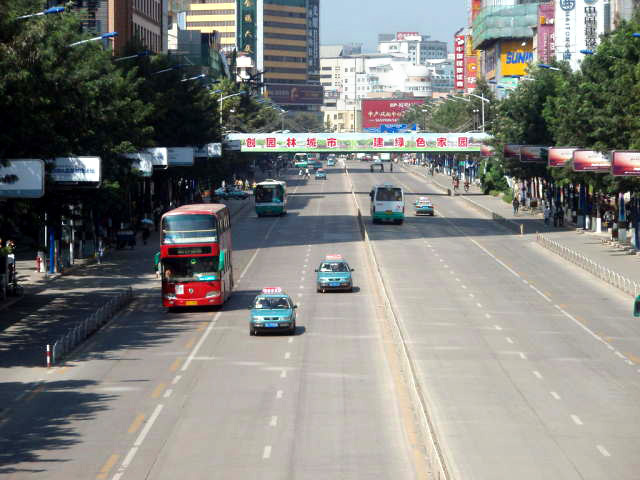 The fare for public buses throughout Kunming is RMB1. Most of the buses in the city start at 6 am and end at 10:30 pm. Passengers should stand close to the door if they want to get off, otherwise, the driver may simply not stop. Some buses also have an English recording that calls out the names of stops. Taxi fares in Kunming are RMB8 for the first 3 km (1.84 miles) and RMB1.8 for each additional km (RMB9.6 and RMB2.7 after 10 PM). For a trip longer than 10 km (6.2 miles), the part after 10 km is charged RMB2.7/km. Bicycle rental is another option in Kunming. The Camellia Hotel (RMB2 per hour and RMB10 for a day) is a good choice. Also, the Friendship Travel Agency in the Kunming Hotel rents them out, but for a slightly higher cost. A third choice is the Kunhu Hotel on Beijing Lu near the railway station; it charges the same price as the Camellia.